ImageTag creates digital order out of paper anarchy. KwikTag, the company's patented paper-to-digital filing application, provides breakthrough simplicity for the digital transformation and management of incoming paper. Its unique tagging system provides users with a familiar look and process. KwikTag uses bar coded Post-it® eFlags that come in easy pop-up dispensers and are created especially for ImageTag by 3M. 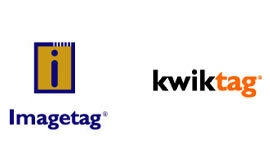 Each eFlag links that document to its filing instructions stored in the KwikTag system. Then the user scans the document and the images are transferred to KwikTag’s Digital Filing server for automated processing and storage. While simple from the user's perspective, the resulting application provides full lifecycle management of incoming paper, including software for filing, storage, management and retrieval of images. For text search and retrieval within the ImageTag system, the company chose the dtSearch Text Retrieval Engine. "KwikTag customers often choose searchable PDF Image+Text as their storage format driving the need for a text-based search and retrieval engine," said David Guilbault, Vice President of Marketing. He continues, "We selected dtSearch based on the performance of the engine and reputation of the product. We’ve also come to appreciate that the responsiveness of the technical staff is nothing short of amazing." ImageTag offers KwikTag as a server-based or Internet-hosted solution for companies in a variety of industries, such as legal, healthcare, financial services, education, and government. For more information on Digital Filing and KwikTag, please call 1-866-KWIKTAG, or (480) 753-9300, email info@imagetag.com or sales@kwiktag.com, or visit www.imagetag.com.